Our visionary Rishis had deeply studied these aspects and incorporated their findings in a separate chapter on 'stree jatak' or female horoscopy in their astrological treatises like, Brihat parashar Hora Shastra (Ch. 11), Saravali (Ch. 46) and Jatak Parijat (Ch. 16) among others. On the basis of these guidelines an astrologer can judiciously compare the horoscopes of the prospective couple and forecast their future married life. These salient features are discussed in this article. To begin with, a woman's luck, beauty and character is predicted with reference to the Lagna (Ascendant) or the Moon, whichever is stronger. (Jatak Parijat, 16.5). According to Maharishi Parashara, the judgment of a female's physical features should be made from the Lagna (Ascendant), the birth of children from 5th house, fortune of husband from the 7th house, and widowhood be ascertained from the 8th house (BPHS, Ch. 82.3). Horasara and Jatak parijat suggest judgment of childen and wealth from 9th (5th from 5th) house. According to phaladeepika chastity of the lady is to be considered from the 4th house. (Ch. 11.1) As regards her looks and personality, Brihat Jatak (Ch.24.3) says that "If the Lagna and Moon fall in even Sign, the female will be modest. If these are aspected by benefics, she will be virtuous. When the lagna and Moon fall in odd sign, she will have masculine features, and if these two are aspected or conjoined with malefics, she will be sinful and characterless." It follows that when Lagna falls in an even sign and Moon is in an odd sign, or vice versa, the female will have mixed trait. If one of these is aspected by a benefic and the other by a malefic, the effect will be middling, i.e., she will display female traits in some respect and masculine traits in others. Result of Sign in 7th House and Navamsha According to Brihat Parashara Hora Shastra (Ch. 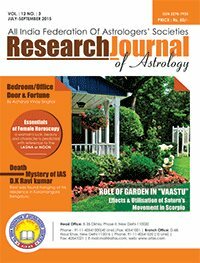 28): "When the 7th house and the 7th Navamsha in a female's horoscope is owned by a benefic planet, her husband will be handsome, reputed and wealthy. If contrary, he will be stupid, gambler, and the couple may not live happily together." Further, "If the sign in 7th house and the Navamsha be owned by Mars, her husband will flirt with other women, and will be hot tempered. If it be in the sign and Navamsha of Mercury, her husband will be virtuous and have control over his passions. If it be in the sign and Navamsha of Venus, the husband will be fortunate, handsome and popular with women. If the 7th house be in the sign and Navamsha of Saturn, her husband will be aged, dull and lethargic. If it be in the sign and Navamsha of the Sun, the husband will be intelligent and industrious. If it be in the sign and Navamsha of Moon, her husband will be handsome, gentle and passionate. If there be different signs in the 7th house in lagna chart and the 7th Navamsha, the result will be mixed one in the light of the above." Result of Planets in the 7th house According to Saravali (Ch. 46) : "If the 7th house is vacant, the husband will be a wretched fellow. When the vacant 7th house is also bereft of benefic aspect, the husband will be a coward. When the sign in the 7th house is moveable, the husband will constantly be on the move and remains away from home. If Saturn and Mercury are in the 7th house, the husband will be impotent. When the Sun is located in the 7th house conjoined with or aspected by malefic, she will be discarded by her husband. If Mars is located in the 7th house and conjoined with or aspected by malefics, she will become widow early or may die shortly after marriage. If Saturn is posited in the 7th house and also aspected by malefics, she will remain unmarried till old age. If malefics in the 7th house are weak or combust and aspected by malefics she will be given up by her husband or become widow. When benefics aspect the 7th house she will be devoted to her long-lived husband. If both malefics and benefics are in 7th house, she will remarry." According to Jatak Parijat (Ch. 16): "When Jupiter is in 7th house the husband will be long lived, with wealth and power equal to a king, and lustful in his youth. If Rahu or Ketu be in 7th house, the husband of the female will be a low, evil minded, wretched or some such person." Result of Planets in the 8th house Maharishi Parashara (BPHS, Ch. 82) has indicated the result of different planets in the 8th house of the horoscope of a female as follows : If the Sun be posited in the 8th house, the lady remains in distress and faces poverty. The Moon makes her devoid of wealth, of defective body, with repulsive eyes and an object of ridicule. Mars in the 8th house gives sickly and charmless body, and the woman faces destitution and distress. Mercury in the 8th house causes lack of wealth, good qualities and makes her quarrelsome and irreligious. Jupiter in the 8th house gives few children, thick hands and feet, and makes her shameless. Venus in 8th house makes her poor, irreligious cruel, filthy and lethargic. Saturn in the 8th house makes her filthy, ill-mannered and deprived of husband's affection. Rahu in the 8th house makes her repulsive, hard hearted, of bad conduct and without husband. These results are subject to modification according to the strength or weakness of the planet in 8th and aspect of other planets on it. According to Horasara (Ch. 25), a malefic in 8th house of female causes widowhood. An aspect from another malefic confirms it. The Dasha of the lord of Navamsha occupied by the lord of 8th house will cause widowhood. Fortunate Yogas According to Brihat Parashara Hora Shastra (Ch. 82), "when Moon, Mercury and Venus are posited in the Lagna of a female horoscope, she will enjoy abundant wealth and comforts and have noble qualities. If Jupiter is also in the lagna, she is prosperous and endowed with wealth, sons and happiness." However, when Venus and Moon are in lagna, the lady is beautiful, happy but jealous. When Moon and Mercury are in Lagna, she will be happy, skilful in arts, modest and virtuous. Mercury and Venus together in lagna make the female beautiful, fortunate, and skilful in arts. When Jupiter occupies lagna it is the best location as from there it aspects 5th, 7th and 9th house. 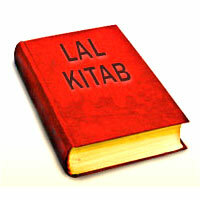 Thus benefics in the lagna endow a female with happiness, wealth and comforts. According to Jatak Parijat (Ch. 16), "When Jupiter occupies the 5th, 9th or a Kendra Bhava or is in exaltation in the birth chart of a female, she will be well behaved, chaste, bear good sons, remains happy and be possessed of excellence. She will bring credit to her own and her husband's family. Strong lagna, Moon sign, 7th and 9th house and their lords receiving benefic aspect of Jupiter, Venus and Mercury make a female charming and lucky. Phaladeepika also states : "When the Moon and Lords of Lagna, the 7th and the 9th houses, in conjunction with auspicious planets, occupy good houses and have brilliant rays (i.e. not combust), the female native will be greatly respected and recognised by her relations, her acts will be noble and she will be very pretty and fortunate. She will please her husband, give birth to good sons and be of virtuous temperament. The period of happy life with her husband will depend upon the strength contributed by the 8th house and association or aspect of auspicious planets." (Ch. 11.10) According to Brihat Jatak (Ch. 24), "If Lagna falls in an even sign and Jupiter, Mars, Venus and Mercury are powerful, she will become famous, be learned in many sciences and a Vedantin." Though malefic planets in lagna normally produce adverse result, yet when the malefic planet is in own sign or in exaltation in lagna, it proves auspicious. For example, Saturn in Capricorn, Aquarius and Libra lagna produces very good result. Unfortunate Yogas Maharishi Parashara points out that when in a lady's horoscope Lagna and Moon Rashi are in Papkartari yoga (between malefic planets) she will cause destruction to her father's and husband's families. However, when benefics are located in kendra and trikona and aspect lagna and Moon, the evil effect will be limited to her own life. According to Horasara (Ch. 25), malefic planets posited in Lagna, the 7th, 8th and 9th house of a lady's horoscope will give only bad result. If there is no benefic aspect, the lady will always be subjected to grief. However, even when there be malefics in the 7th or 8th house, a benefic in the 9th house of a female's horoscope will give her happiness concerning her husband and children. She along with her husband will have a long life. Birth in Malefic Nakshatra The birth of female in certain Nakshatras is considered harmful to specific members of her husband's family. According to Phaladeepika (Ch. 11), "Astrologers maintain that the birth of a female in following Nakshatras will cause death of husband's relative shortly after marriage : Nakshatra of Wife Adverse effect on husband's relative Jyeshtha Elder brother Ashlesha Mother Moola Father Vishakha Younger brother In such cases the astrologer can guard against harmful affect by checking up that the concerned relative is not alive, or if alive, then his/her horoscope shows long life, and his maraks dasha is not in operation or follows shortly. Vishkanya yoga Maharishi parashara has described the effect of this yoga as follows ; "A female born with this yoga give birth to dead child, lacks clothes and ornaments, and remains unhappy and distressed." vishakanya yoga is formed when, "The birth takes place with the combination - 1. In the Nakshatras of Ashlesha, Krittika and Shatbhisha. 2. On Sunday, Saturday and Tuesday and 3. 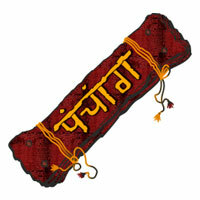 In the bhadra tithi (i.e., 2nd, 7th and 12th tithi). The specific combinations are as under : • Dwitiya + Sunday + Ashlesha • Saptami + Saturday + Kritika • Dwadashi + Tuesday + Shatabhisha This yoga is also formed when in a female's horoscope one benefic and one malefic planet are in the lagna, and two malefic planets are posited in inimical signs. (Later Muhurta Granthas have expanded the scope of Vishakanya yoga). Maharishi Parashar has stated the condition for cancellation of vishkanya yoga as follows : "If the lord of the 7th house from lagna or the Moon is an auspicious planet, and if planets are posited in the 7th house, it will certainly destroy the Vishakanya yoga." It is the fundamental rule of astrology that a strong benefic planet's influence on lagna, Moon and the 7th house takes care of all evils of married life. Yogas for Excessive Passion according to Brihat Parashara Hora Shastra (Ch. 82) "If in a woman's horoscope Saturn and Venus are in each other's Navamsha and aspect mutually, or if the lagna falls in Taurus or Libra, with capricorn Navamsha, she will be libidinous and will satisfy her lust through unnatural means." Saravali (Ch. 46) further states: "If Venus and Mars exchange their Navamsha, the female will go after other males. If the Moon joins Venus and Mars in the 7th house she commits adultery with the consent of her husband. About chastity of the females, phaladeepika (ch.11) adds: "If inauspicious planets occupy the 4th house, the female will become unchaste. When Lagna, the Moon and Venus are located in a sin or Navamsha belonging to Saturn or Mars, the woman and her mother will be adulterous. Horasara (Ch.25) further adds: "Should the Sun and Rahu be in the 7th house, the lady will have many husband." 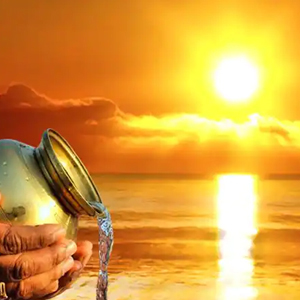 In spite of above provisions, an astrologer should give proper attention to Desh, Kaal and Patra (all circumstances) before making any firm forecast. Yoga for Widowhood According to Maharishi Parashara (BPHS, Ch. 82), "If Mars is bereft of the aspect or conjunction of auspicious planets and is posited in the lagna, 12th, 4th, 7th or 8th house in a female horoscope, her husband will have an early death." This planetary position is known as Mangal Dosh. Maharishi Parashara states in the next shloka, "When a woman having yoga of widowhood is married with a man having similar planetary yoga of widower hood in his horoscope, it will cause cancellation of such yoga." This provision states that then death of husband will not happen. It does not say anything about happy married life, for which the aspect or placement of benefic planets in 7th house and trines will be essential. Effect of Trimshamsha Location of Lagna Lord and Moon The 30° of a sign are allotted to Trimamsha Division as under : Mars Sat. Jup. Merc. Venus Odd 0°-5° 6°-10° 11°-18° 19°-25° 26°-30° This order is reversed in Even Sign Mars Sat. Jup. Merc. Venus Venus Mer. Jup. Sat. Mars Even 0°-5° 6°-12° 13°-20° 21°-25° 26°-30° The location of strong Lagna lord or Moon in the Trimsamsha of Jupiter makes the girl most fortunate, in Trimamsha of Mercury and Venus gives mixed result, while in the Trimamsha of Mars and Saturn gives bad result. Death before or after Husband Every Indian lady desires to die Suhagin, i.e., die during the life time of her husband. Horasara (ch.25) gives the following planetary combination. "If there is a benefic planet in the 8th house from Lagna and it is devoid of any malefic conjunction or aspect in a woman's horoscope, she will predecease her husband. On the contrary, if there is a malefic planet in 8th house having the aspect of another malefic planet without any benefic aspect, she will die after her husband. If there are malefic and benefic planets in the 8th house, the husband and wife may die together. The result should be told after assessment of strength and weakness of the planets in 8th house." Progeny One of the objects of marriage is birth of children for carrying on the family lineage. According to phaladeepika (Ch.11), "In a female horoscope if auspicious planets occupy the Trines (5th and 9th house), she will be happy, blessed with children, wealthy and be of a cheerful nature. but if the said houses are occupied by weak and inauspicious planet, the female is bound to be barren or will give birth to still or dead children." According to Maharishi Parashara (BPHS), "If Moon and Venus are posited in lagna along with Saturn or Rahu, and the 5th house is occupied or aspected by malefics in a female horoscope, she will be barren." Saravali (Ch. 46) adds: "If the 5th house in a female horoscope falls in Virgo, Scorpio, Taurus and Leo and receives the aspect of a benefic, there will be limited progeny. When these signs in 5th house are conjunct with a benefic or the Moon, the same result accrues. Horasara (Ch.25) further states: "If the Moon and Venus be together in Lagna in the sign of Mars or Saturn, while the 5th house is occupied by a malefic, the woman will be barren."